Episode 9: Phantom of the Paradise - A Reel Education: The Musical! I want this Phantom in Andrew Lloyd Webber’s next musical. Listeners! 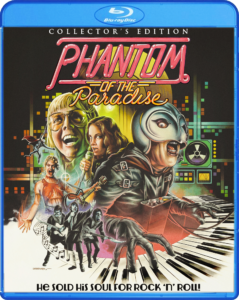 Take a listen as Mike gets his mind blown by PHANTOM OF THE PARADISE! 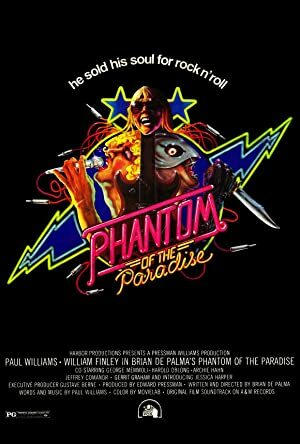 Brian DePalma’s 1974 rock opera is gloriously garish with literary references galore, Paul Williams’ soundtrack is a smorgasbord of musical styles settling in on glam-prog-rock, and William Finley eats allll the scenery as the titular phantom, Winslow Leach. DePalma’s second movie, two years before CARRIE, is confident, stylish, and wildly entertaining. Take a listen, and let it bring you to “Life at Last”! 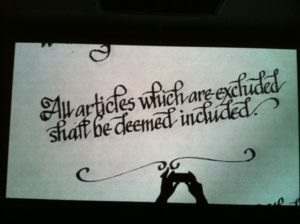 Legalese that clearly says what it means. Plot: A disfigured composer sells his soul for the woman he loves so that she will perform his music. However, an evil record tycoon betrays him and steals his music to open his rock palace, The Paradise.